There are a lot of PC and console games that have made their way to NVIDIA's SHIELD set-top box, but I believe that Pavilion is the first to get an exclusive launch on the platform before making its way elsewhere. The 2D puzzle-adventure game from Visiontrick, which mixes elements of old point-and-click adventure games with more modern fare like Monument Valley, is now on the Play Store for ten bucks. It'll make its way to the PS4, Vita, Steam, and Humble stores later this month. 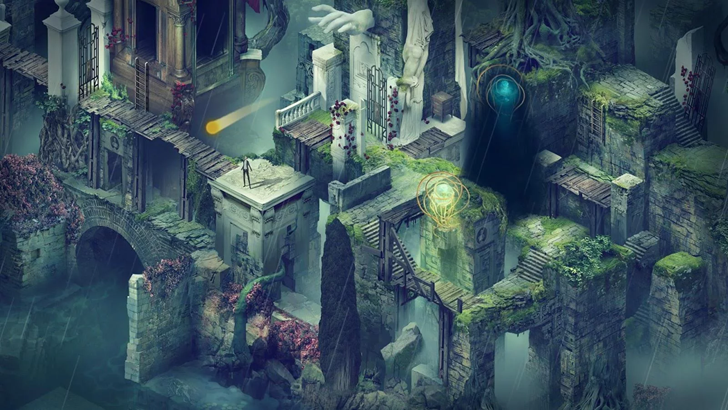 Pavilion styles itself as a "fourth-person" puzzle game, because the player isn't actually controlling the protagonist as he makes his way through a collection of ethereal stages. Instead you'll have to search around the environments for interactive elements, sometimes opening new passages for the AI-controlled explorer, sometimes dragging him along the path by way of ancient machines, sometimes pausing the action for a full-screen logic puzzle. The play style is sort of like one of those interactive playsets designed for kids, only for grown-ups. 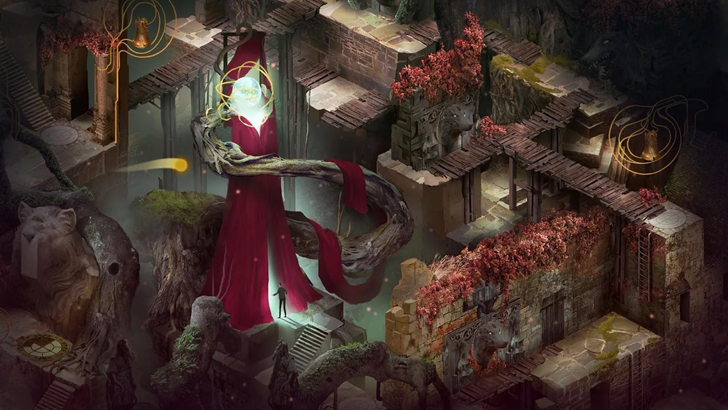 The hand-drawn 2D visuals are the star of the show in Pavilion. The varied environments and obstacles are all brought to life in a sort of crumbling, overgrown fashion that wouldn't look out of place on a Game of Thrones set. Plot is almost entirely contextual, as players are given no backstory or introduction - just try to get through the levels and see where they take you. The initial release is labelled chapter one, with a second entry planned for sometime in 2017. It's not known whether that release will get the same SHIELD-exclusive launch or not. We could also hold out for a wider Android version - it's not as if this kind of game couldn't be played on a touchscreen.